The Zimbabwe Tourism Authority (ZTA) has been urged to restrategize and invest in small but sustainable tourism in order to boost diversity, thereby attracting more foreign tourists to the country. The call was made by a six-member delegation of International Buyers who are in the country for the Sanganai/Hlanganani Travel Expo. The delegation called on ZTA to come up with smaller but sell-able packages which will make Zimbabwe a destination of choice and distinguishes it from other African countries. “All this is up to the tourism authority of the Minister of Tourism to decide on the direction which the country can in as far as promoting tourism is concerned,” said Anne-Lee De Backer of Sensations Travels from Belgium. She added that the country needs to take advantage of other destinations other than the Victoria Falls and provide packages which are different from other countries in the region. 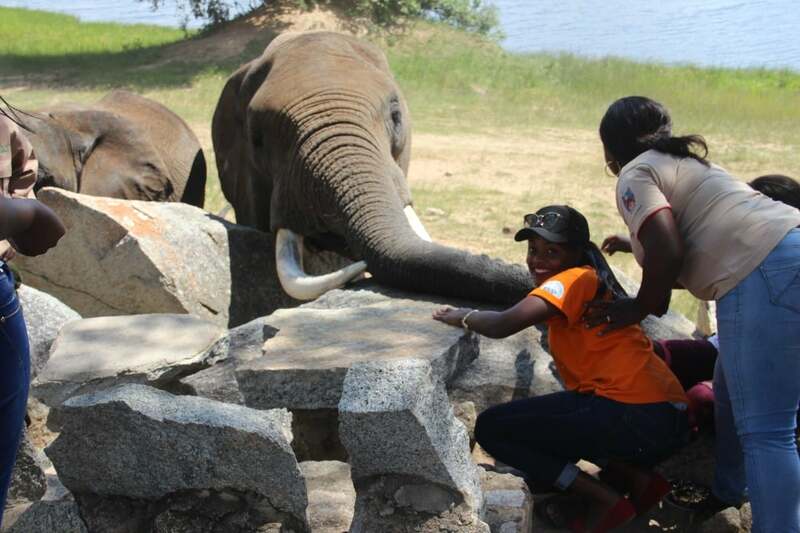 “When travelers come to Zimbabwe they want to see new things, they want to see something different from Tanzania or Kenya so that when other places like Kariba or Hwange National Park come in,” she noted. Sanganai/ Hlanganani is a business to business exposition that presents networking opportunities between the buyers, exhibitors and the travel trade. To date, 288 exhibitors and 21 countries have registered for participation. Bruno Alegi, the General Manager of Todra Tour Operators in Italy paid homage to the hospitality that the country provides and pledged to help promote the country’s tourist destinations. “The welcome is very good and the country is beautiful and I’m so happy to be here. I will be doing my best to make sure that Zimbabwe is known out there. I believe Zimbabwe is one of the countries that I will push and promote,” said Alegi. ZTA’s International Marketing Executive Director, Jeffreys Majengwa told reporters that the Sanganai/Hlanganani Travel Expo will help to market the country and unlock investment opportunities. “The coming in of these buyers gives us hope that Zimbabwe is going to reclaim its position as a safe tourist destination. This is also in life with new dispensation’s ‘Zimbabwe is open for business mantra’. “When our tourist arrivals declined over past few years, it was these traditional source markets of high spenders, that we lost so now they are coming back and that gives us confidence,” said Manjengwa. The buyers are expected to sample and appreciate the country’s tourism product that will aid informed packaging across markets. The tours will proffer Zimbabwe’s tourism hotspots of Mana pools, Bumi Hills, Kariba, Eastern Highlands, Gonarezhou, Masvingo, Victoria Falls, Hwange, Binga, Matopos and Bulawayo.